Are mobiles a bigger threat to health than cigs or asbestos? A brain expert warns of huge rise in tumours and calls on industry to take immediate steps to reduce radiation. He says people should avoid using them wherever possible and that governments and the mobile phone industry must take "immediate steps" to reduce exposure to their radiation. 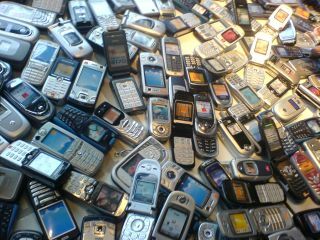 A new study, by brain expert Dr Vini Khurana claims that mobile phones could kill more people than smoking or asbestos. Khurana, described in yesterday’s Independent newspaper as, "A top neurosurgeon who has received 14 awards over the past 16 years, [who] has published more than three dozen scientific papers," has reviewed over 100 studies on the effects of mobiles. He concludes that: "There is a significant and increasing body of evidence for a link between mobile phone usage and certain brain tumours," which he goes on to claim will be "definitively proven" over the next decade. "It is anticipated that this danger has far broader public health ramifications than asbestos and smoking," claims Professor Khurana. The Mobile Operators Association has hit back at Khurana's study, claiming that it is, "A selective discussion of scientific literature by one individual," and that it doesn't present a balanced analysis."